The need for majority government is the number one priority for the business community in the lead up to the March 3 State Election. TCCI Chief Executive Michael Bailey said that with the state headed in the right direction in economic terms, it was important that this momentum was not lost through the distractions that are caused through minority rule. 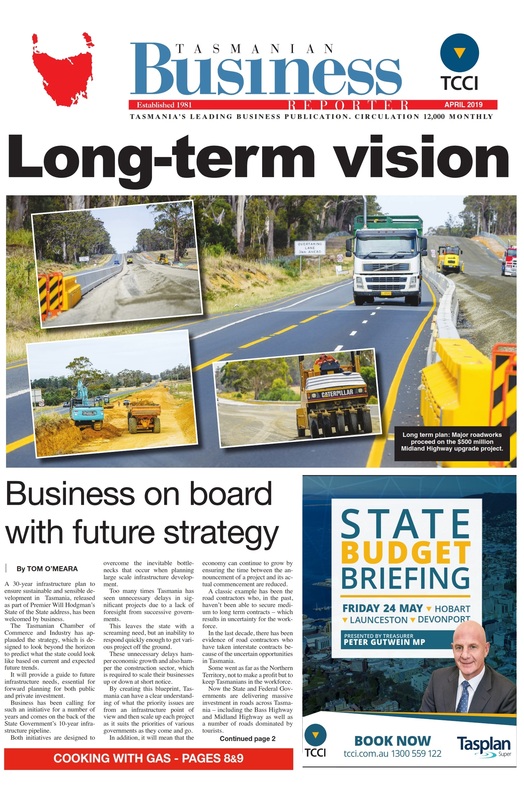 “The economy is strong and business confidence is good, but if we are to maintain and improve the position of the state, we must have a clear winner at the election in order to maintain this momentum,” Mr Bailey said. “The clear message we have received is that industry and business sectors want majority government to have control in Tasmania – whatever its flavour. “We saw the previous four years, pre-2014, when Labor and the Greens tried to govern together, as a disaster for the state. One of the major frustrations from Labor during the previous government was the consistent compromise of decisions resulting in the “second best” result for the state. Recent polling suggests that a hung parliament is likely, with a number of the Liberal’s 15 seats at risk which is a surprise when you recall the Liberal’s gained 51 per cent of the votes, compared to Labor’s 27 per cent at the 2014 election. While there will be a shift in the percentage of votes for both parties, the Liberal Party says its privately-commissioned polling shows it could hold onto 14 seats. Thirteen seats are needed to form government. The Liberal-commissioned survey gave Will Hodgman victory in the preferred premier status and also found 41.1 per cent of the 3,000 respondents would vote for the Liberals, 34.2 per cent for Labor and 12.8 per cent for the Greens. The JLN would receive 6.1 per cent. In contrast, the last EMRS poll conducted before Christmas found the Liberals and Labor were neck and neck, with both parties polling at 34 per cent. Most analysts say Labor can’t win enough seats from its base of seven to form majority government – they would most likely win 10. Both party leaders have ruled out governing in minority, which would mean that unless one of them changes their stance on that after polling concludes, the state could face the unthinkable and return to the polls. The hung parliament possibility has led the TCCI to repeat calls for the restoration of numbers in the Lower House to 35. “One, it’s more democratic, two it will provide a greater talent pool for all parties and therefore greater benefit for the Tasmanian people, for whom they are elected to represent,” Mr Bailey said.